then. 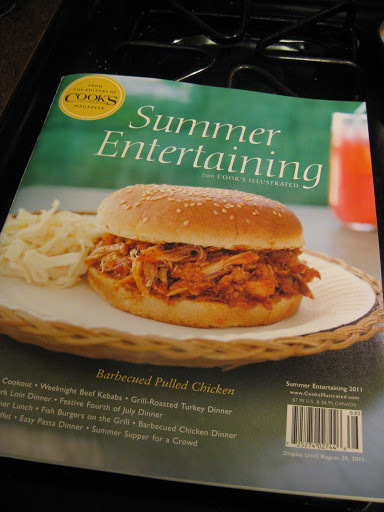 then i picked up the “summer entertaining” special from cooks illustrated and what do you know, but those geniuses came up with a recipe for no ice cream maker ice cream. what? how did they know?! 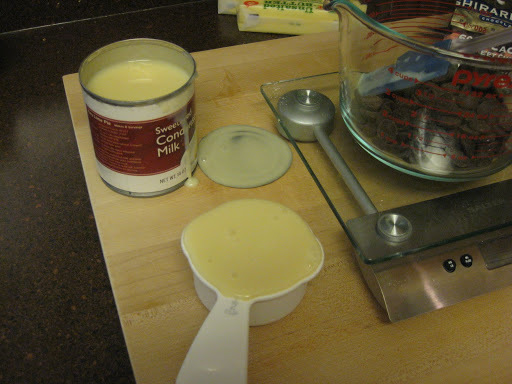 can it really be that creamy? can it?! i doubted. but i had to try it out and let me tell you, those folks just don’t disappoint. 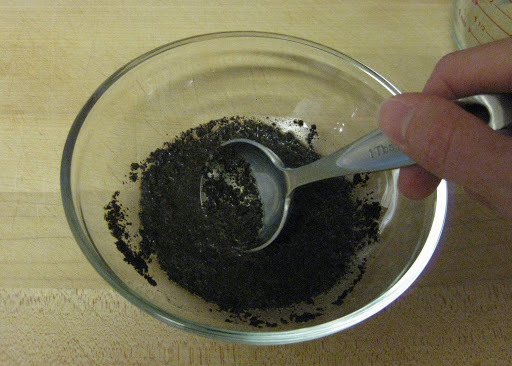 first, combine the instant coffee or espresso powder and hot water. or, if you’re like me and hate to run out and buy just one thing i probably won’t have much use for, combine 1 T ground coffee with 1 T hot milk. 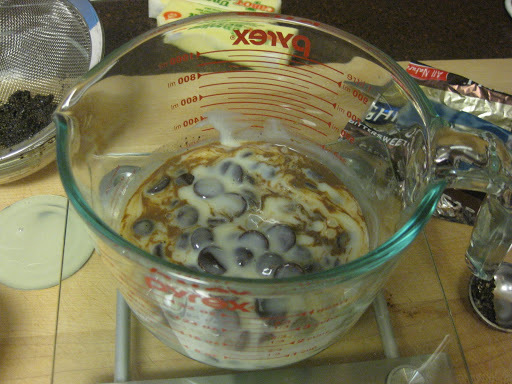 let dissolve (or steep) for 5 mins. 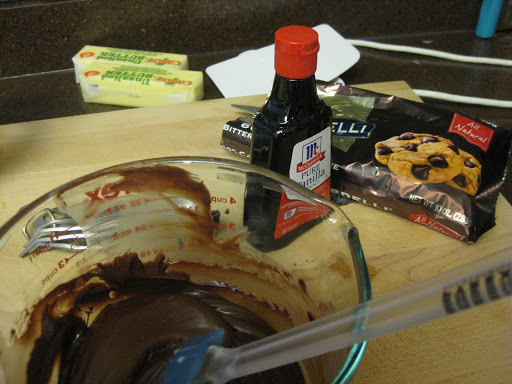 i’m sure the espresso powder is better, so you should probably do that. or not. i won’t tell. 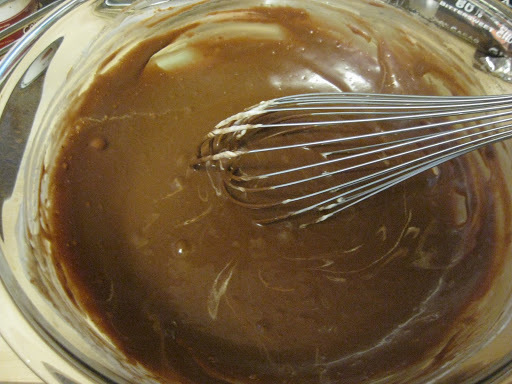 combine the chocolate and sweetened condensed milk and espresso (or strained milk coffee) and microwave until melted, stirring every 10 seconds..
stir in vanilla and salt. 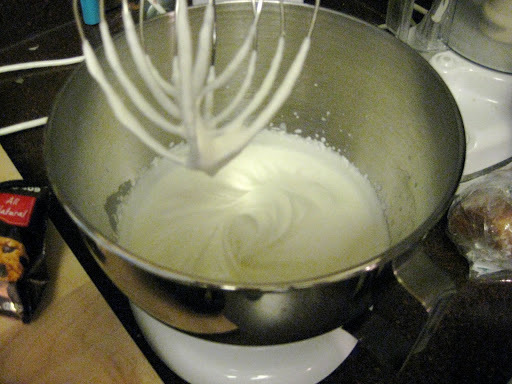 while that cools, whip the cream to soft peaks. 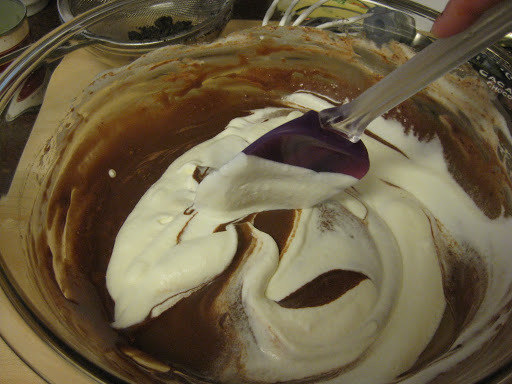 in a large bowl, whisk together chocolate mixture and 1/3 of the whipped cream until combined. 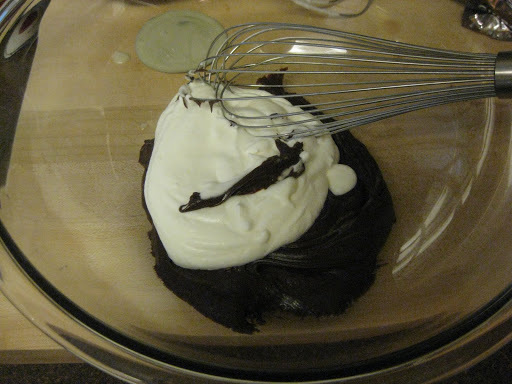 then gently fold in the remaining whipped cream. 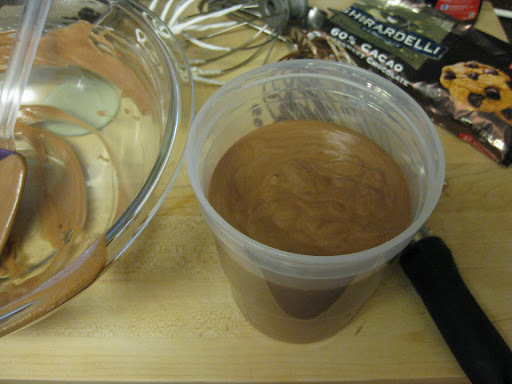 pour into a freezer-safe container and freeze for 6 hours. 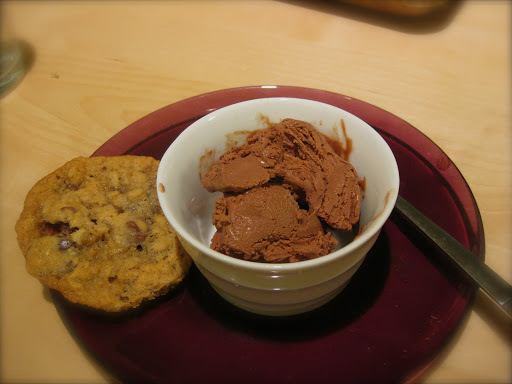 it doesn’t hurt to have a warm chocolate chip cookie on hand. i found this fabric on clearance and loved the colors. it might be a little “drapery” looking but i think the bold graphics make it just modern enough for my tastes. i wanted a dress pattern that didn’t have too much detail or seaming because it would just get lost in the busy pattern. 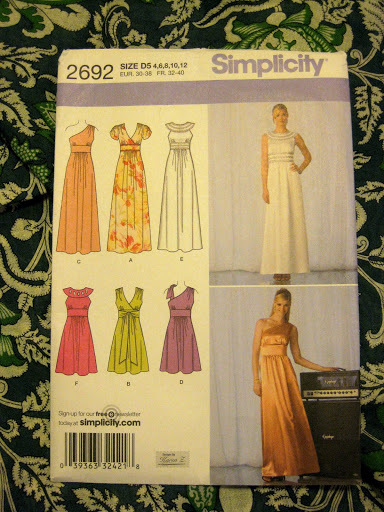 i had a particular style in mind and after looking and looking i decided on simplicity 2692 (the one shown in green, minus the really long front tied sash). once i made the muslin and tried it on i immediately realized the following: 1) i really do hate a side zip, 2) my ribcage does not narrow much and 3) the bust will need to be dramatically reduced! fortunately, numbers 1 and 2 are easy to remedy. to move the zip to the center back (CB) i will simply not cut the back pieces on the fold and i will add a seam allowance to accommodate a CB zipper. then i added room to the bottom of the midriff pieces by not tapering them in quite so much. easy enough! now a good fit in the bust area is slightly more challenging. 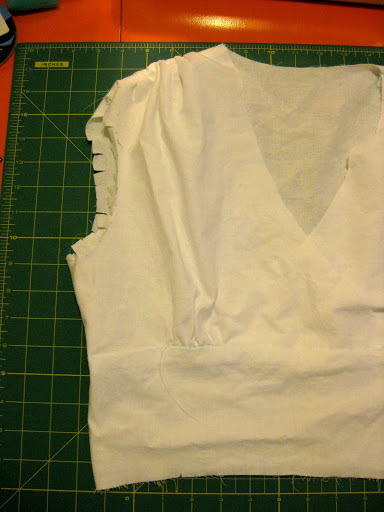 i started by taking room out of the center front (CF) seam, about 3/4″ then i redrew the neckline. just doing that solved most of my fit issues. to shape the bodice further (or un-shape it, in my case…), i made an inverted dart from the fullest part of the bust narrowing to the shoulder and midriff seams, pinched up that part of the pattern piece then smooshed the paper flat and taped it down. sounds real technical, i know. since this is a gathered bodice there is enough wiggle room to fine-tune the fit as i stitch the pieces together. 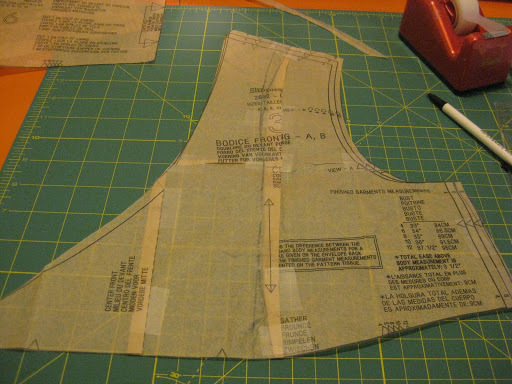 if i were working with a smooth, darted bodice or princess seams this would need to be much, much more precise! if, after making these adjustments, the shoulder or side seams have been distorted, simply re-draw the lines to straighten, or true, the seams. don’t forget to adjust the shoulder and side seams of the back pieces to match. with all that work out of the way i am super excited to start cutting the real material and begin sewing in earnest! it does seem like i had to do a lot of fussing and manipulation over this pattern (i almost gave up to work on something easier! ), but really that’s just part of the process. how satisfying is it to take the extra prep time and come up with a garment that is custom fit? to take flat fabric and flat pattern pieces and make them work on a curved body? it doesn’t matter if you’re an 8-10-12 or a 14-16-18; making your own garments is all about the fit. the tiniest manipulations are truly the difference between an okay dress and one that you are really proud to own and wear. well the introductions are over, so it’s time to start a project. how about a skirt? better yet… a skirt without a pattern! start by measuring your waist and adding 1″—this is the length to cut your elastic. if your elastic seems likely to unravel, zig-zag the cut ends first. 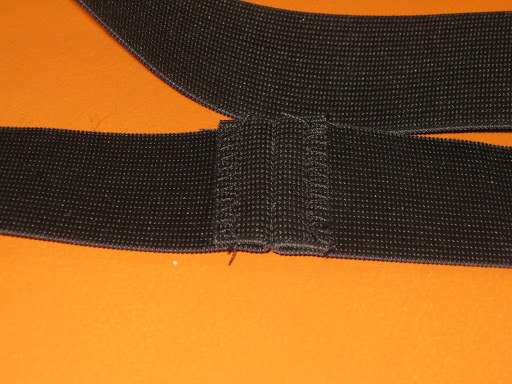 then bring the ends together, sew using a straight stitch at 5/8″, backstitch at both ends. then stitch each side of the seam to the band so the seam allowance will lie flat. slip it on, make sure all is good. now, to determine how much fabric you need for the skirt, measure from where the bottom of the waistband will sit down to the desired hemline. add in a 5/8″ seam allowance for the top and 5/8″ for the hemline. since i’m working with a medium weight cotton i will use a deeper hem than if i were using a lightweight rayon or silky material. for something lighter weight you may only need 1/4″ for a rolled hem, so adjust accordingly. my skirt length will be 18″ so i need 19 1/4″ total. how wide to cut your fabric depends on how gathered and pouffy you want your skirt to be. 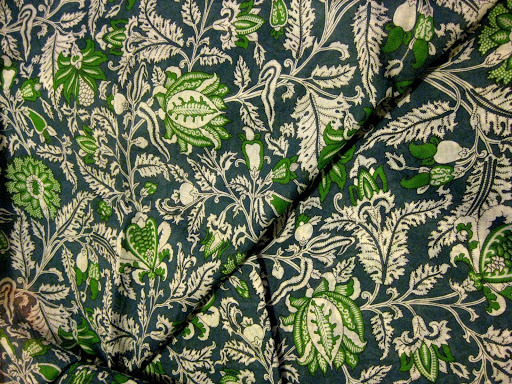 a lighter material will require more fabric to look full than my choice of cotton. if you are unsure, you many want to find one of your own skirts or dresses that is gathered at the waist and simply measure around the bottom edge. this will give you a good estimate. 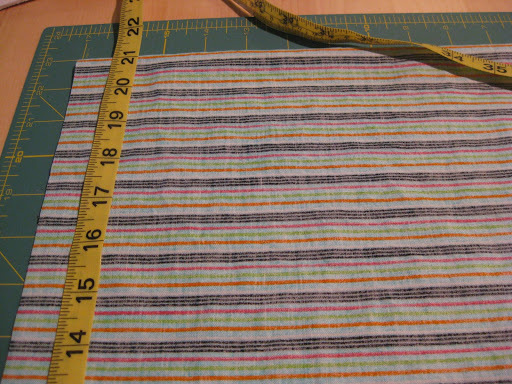 the width of my fabric is about 42″ and i will simply use the entire width. so, on the fold, cut two rectangles: the skirt length by half the skirt width (19 1/4″ x 21″). when unfolded you will have 2, 42″ long rectangles giving you a total skirt hem of 84″. still with me? 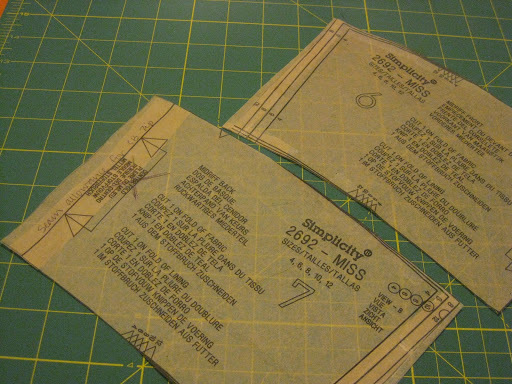 if you need a lining, cut it out to the same width but 1″ shorter. if you’ve made a skirt before there is nothing new here. 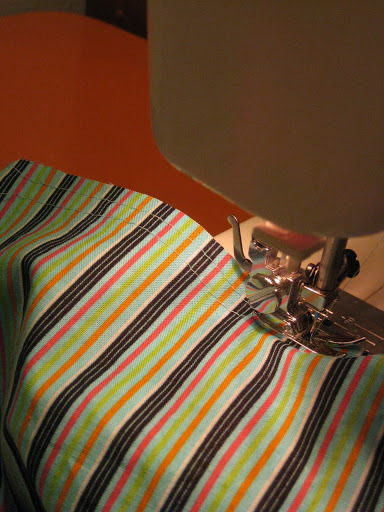 first, sew up the side seams and finish the seam allowances with a zig-zag stitch or serged edge. repeat with the lining material, if using. 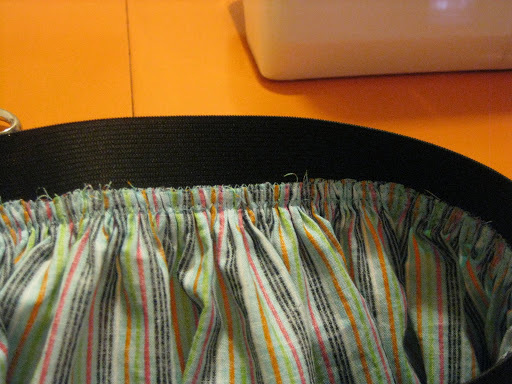 with the right side of the fabric up, stitch two rows of basting stitches around the top edge of the skirt fabric at 5/8″ and 1/4″ making sure not to cross your stitches when you get all the way around. once gathered the basting stitches will need to be removed so it may be helpful to use a contrasting color of thread so it’s easy to spot and remove later. 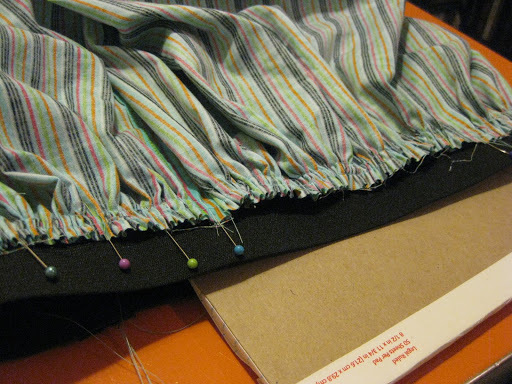 if you are lining your skirt, simply pin the lining to the wrong side of the main fabric and baste through both layers, gathering it all in one step. with pins, mark the top edge your skirt into 4 equal parts (side seams, center front, center back) and do the same with your waistband. 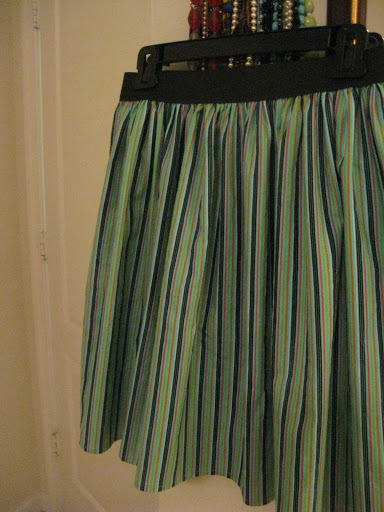 pin the skirt to the inside lower edge of the waistband, matching your markings. 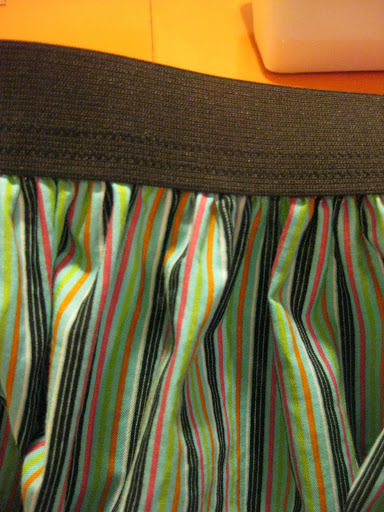 the right side of the fabric will be facing the inside of the waistband. to position it correctly, line up your lower basting thread with the bottom edge of the elastic. pull up the bobbin thread to gather your skirt. adjust fullness and pin as necessary all the way around. 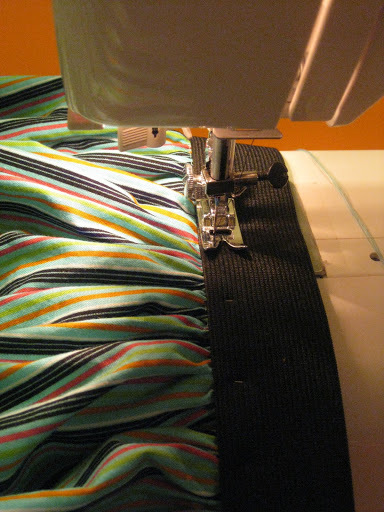 with the gathers down, sew the elastic and fabric together with a zig-zag stitch. i set my stitch length to 1.5 and my zig-zag width at near it widest setting. do a test on a piece of scrap fabric until you have the right settings. line up the edge of the elastic with the left side of the presser foot as a guide. be sure to remove the pins as you stitch. then stitch around a second time a little farther in so as to catch the edge of the fabric to reduce any fraying. remove the basting stitches and try on your skirt to determine the final length. hem your skirt and you’re done! how easy was that? sure, you could add tiers, ruffles, lace, trim, pockets… this skirt could be made numerous ways and i probably will be making this one over and over again! i love having a few casual skirts in the closet to help a gal feel just a little put together because sometimes a skirt, a t-shirt, a swipe of lip gloss and a prayer is all i have. 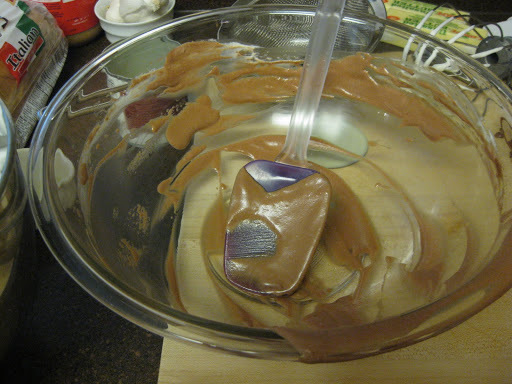 chocolate helps… but that’s a story for another day.